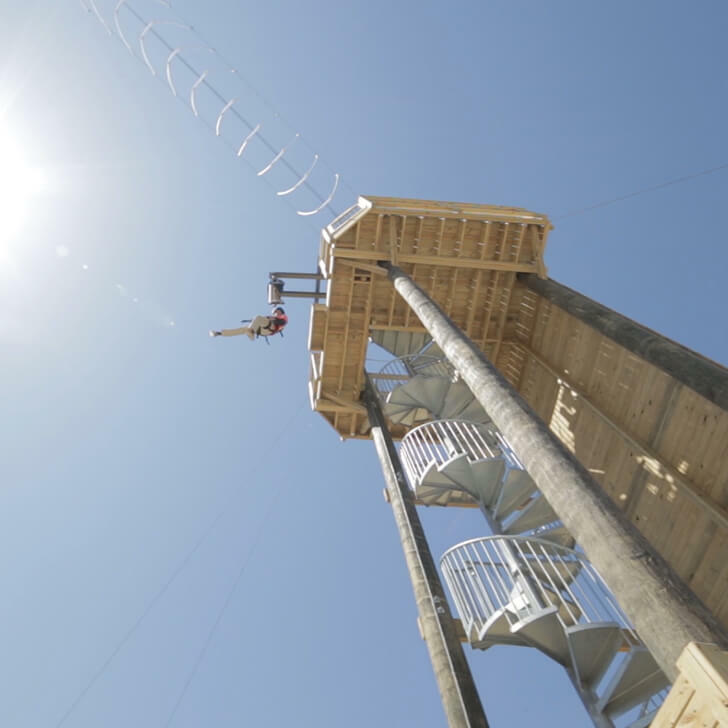 When you think of Grand Vue Park, you think of adventure. 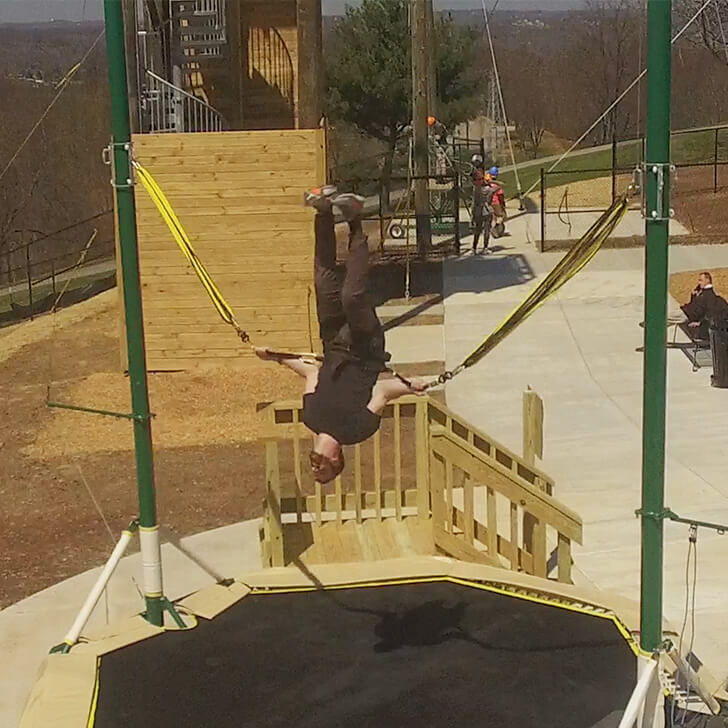 There is no wilder adventure than experiencing our aerial course and offerings. 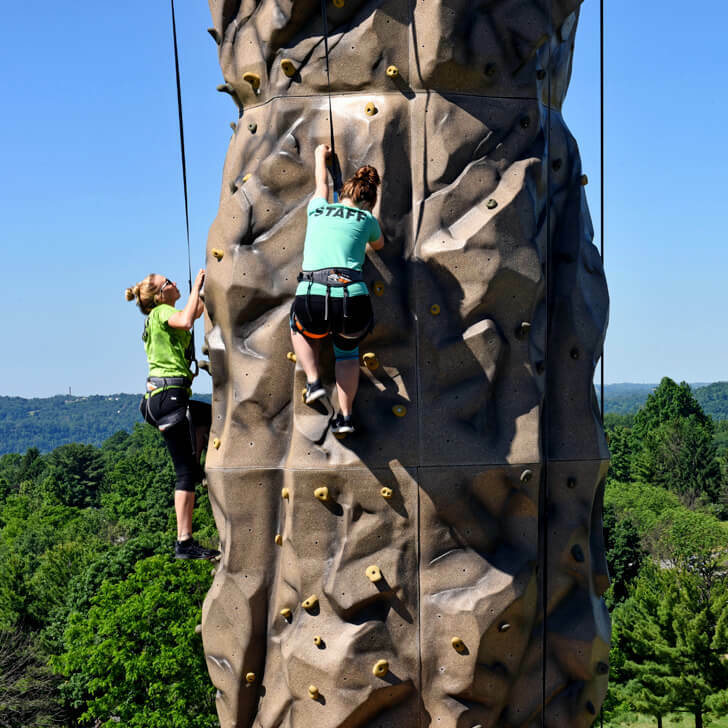 Get your thrills by zip lining down the hills of West Virginia or challenge your skills climbing our rappelling wall. You can come to Grand Vue Park with no experience or a veteran and we will still make this an enjoyable adventure for you and your party. 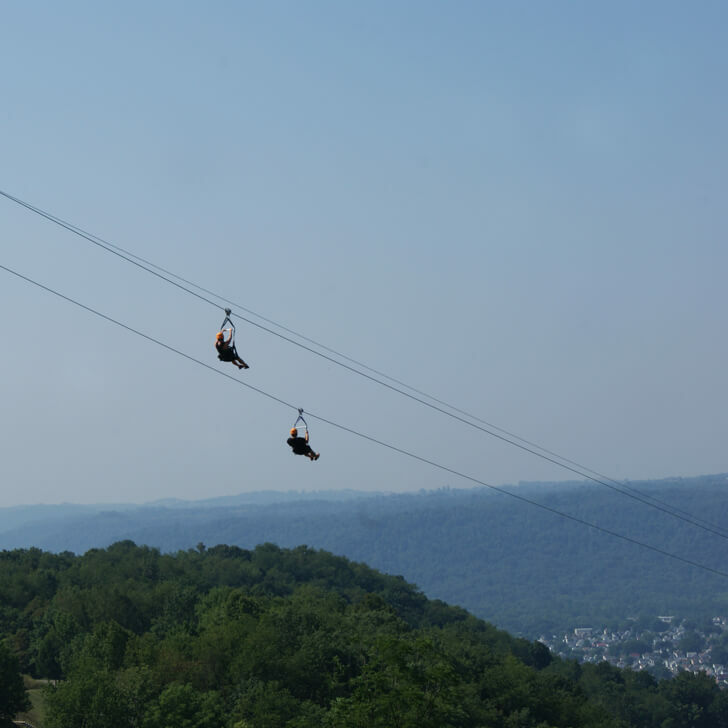 Look over the Ohio Valley like never before. 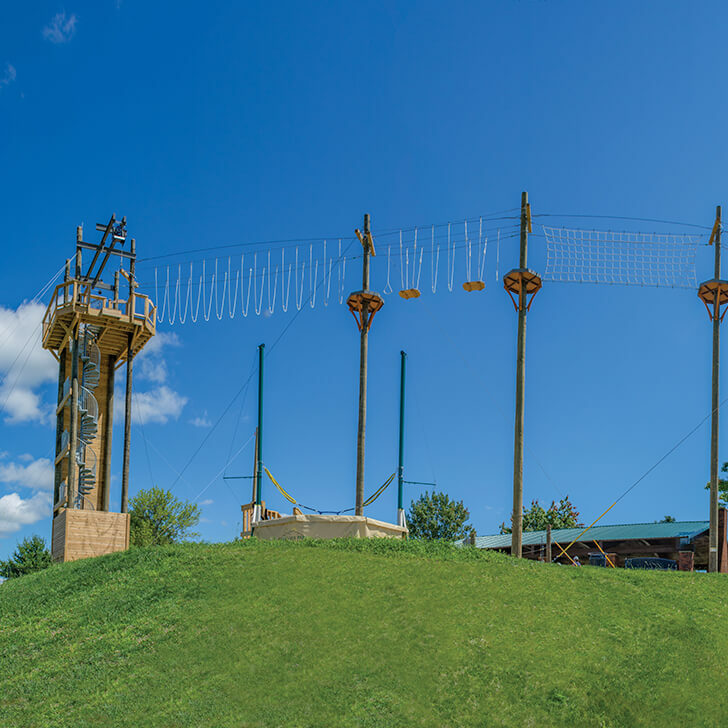 Our aerial adventure park is on the top of any adventures list. 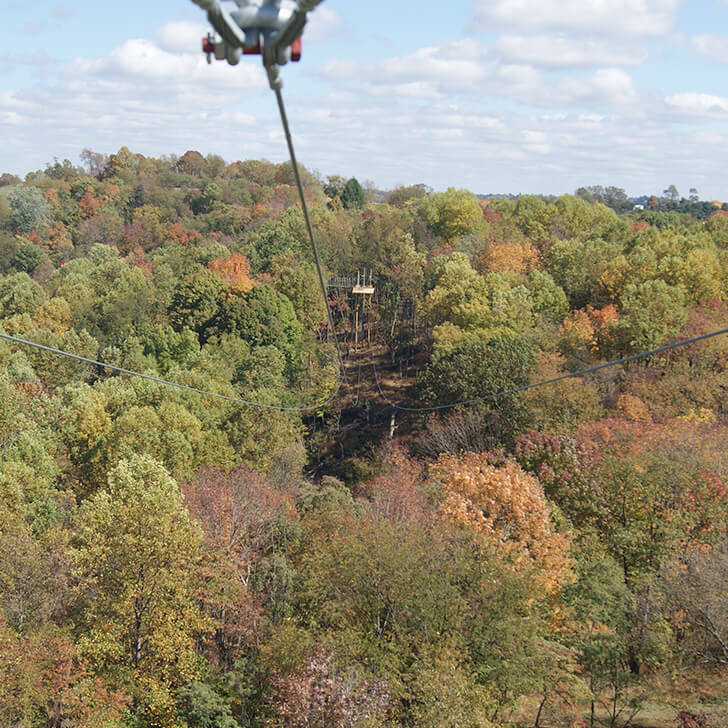 You can zip line while overlooking beautiful West Virginia or test your abilities on our aerial rope course. 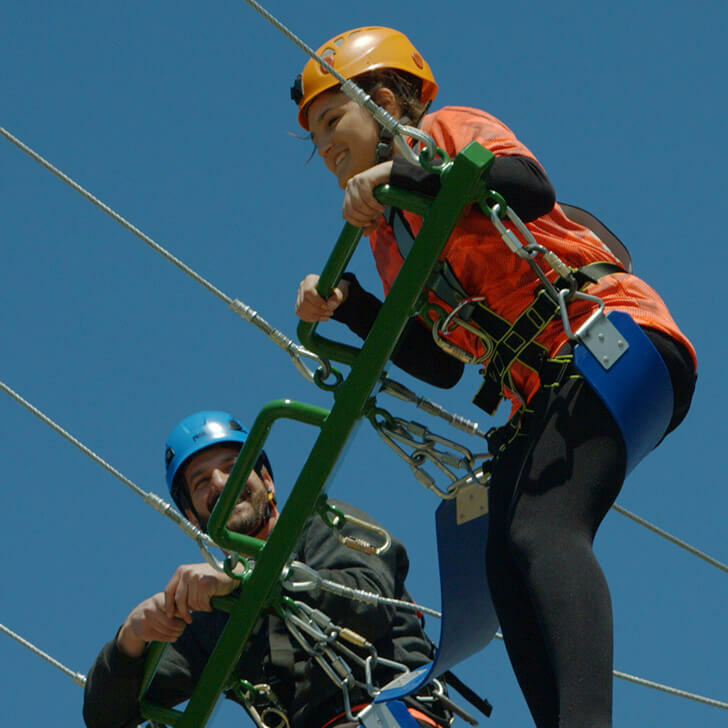 Regardless of age and skill, we make sure you have a safe and enjoyable adventure at Grand Vue Park. 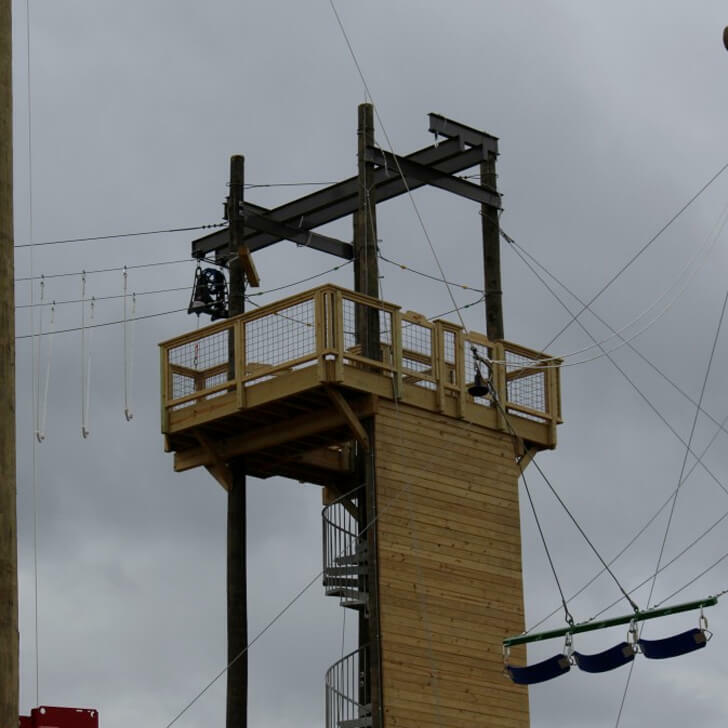 Ropes Course, Giant Swing, Trampoline, Rock Wall, Mega Jump, Rappel Wall, and the Zip Line Ride. *Please see individual activities for single attraction prices.